As of 1 October, Mariana Sanchotene will be the new Director of the Amsterdam Dance Event (ADE) foundation. She succeeds Richard Zijlma, who, together with Buma Cultuur director Frank Helmink, is still responsible for the upcoming edition of the Amsterdam Dance Event. Sanchotene’s appointment coincides with the foundation’s transition into an independent foundation. 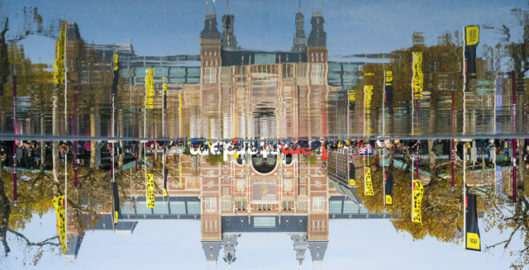 The Amsterdam Dance Event had been part of Buma Cultuur since its beginning in 1995. Willemijn Maas, former Director of AVRO and currently an independent consultant and supervisor, will become the Chairman of the independent foundation’s Supervisory Board. The remaining members of the Supervisory Board are currently being recruited. “ADE has been very special to me for years. It’s the time of the year when the entire electronic music industry comes to Amsterdam to exchange ideas, conduct business, network, meet friends and, above all, enjoy music. I’ve always been proud to say that Amsterdam organises the best electronic music conference and the largest club festival. I’m looking forward to working with the ADE team and all other organisations involved in the success of this event”, said Mariana Sanchotene. Sanchotene has more than 20 years of experience in the international live entertainment industry. She’s worked for companies such as ID&T, Stage Entertainment and Cirque du Soleil. Sanchotene contributed to the international growth of ID&T, among others in her role as VP Business Development. Originally from Brazil, she now lives in Amsterdam with her family. The Amsterdam Dance Event is pleased with the appointment of both Maas and Sanchotene. “The step towards independence, Mariana’s start as Director and Willemijn’s start as Chairman, all contribute to the reinforcement and sustainability of ADE as the world’s most important event for electronic music. We are confident that with Mariana Sanchotene at the helm the Amsterdam Dance Event will remain as such”, remarks Buma Cultuur Director Frank Helmink on behalf of ADE. ADE is the worlds biggest club festival and conference for electronic music. With events in 160 locations Amsterdam is all about electronic music during five days and nights in October. Over 9000 professional delegates from over 90 countries visit ADE to network and exchange ideas. Buma Cultuur is dedicated to music from The Netherlands. Buma Cultuur supports and promotes Dutch music copyright in both The Netherlands and key export markets for Dutch music. The aim is to increase the percentage of Dutch music in the Dutch market and foreign markets. Buma Cultuur is founded by the Dutch collecting society Buma.